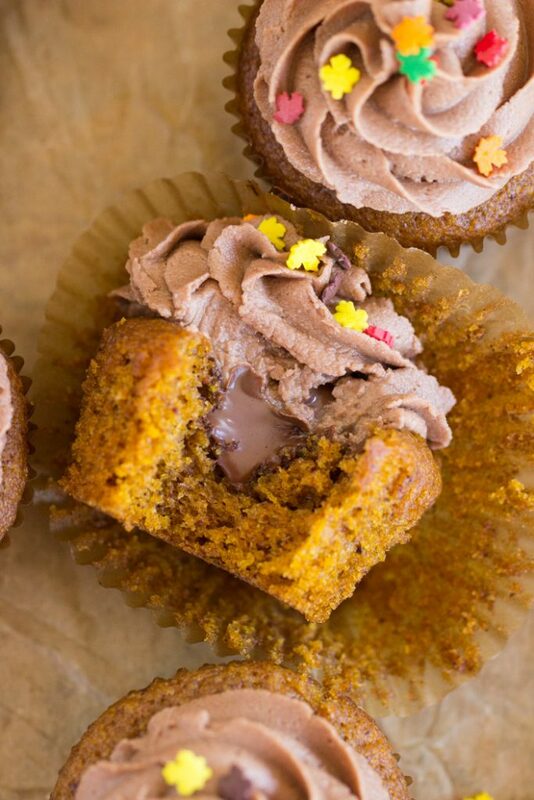 Say hello to #1 on your fall baking list: these Pumpkin Cupcakes with Nutella Buttercream!! Moist pumpkin cupcakes, loaded with warm fall spices, filled with creamy, rich Nutella, and topped with fluffy, thick Nutella frosting! 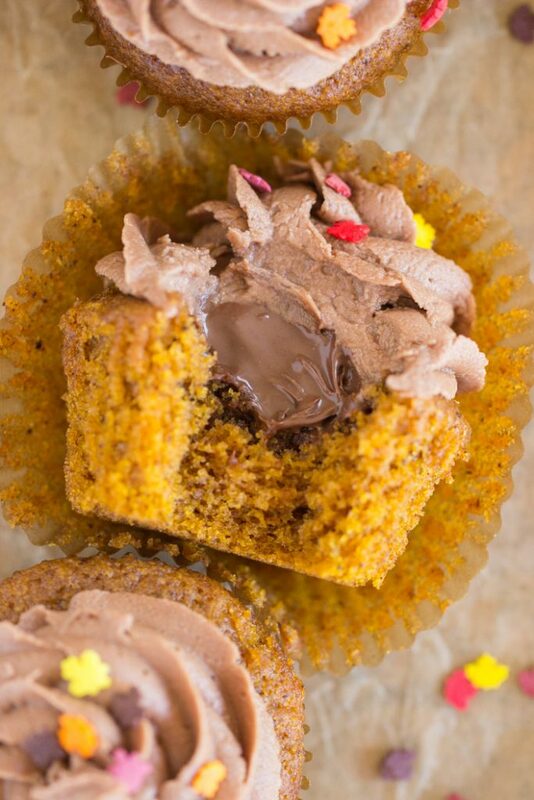 You’ll fall head over heels for these Pumpkin Cupcakes with Nutella Buttercream! I posted a few pumpkin + Nutella recipes last year, and I totally expected them to be a hit on the blog, but they sort of fizzled. I don’t know why! You really cannot predict what people will ‘take’ to, and you never really know what will land with people. I personally LOVE those recipes, and I love pumpkin + Nutella together. 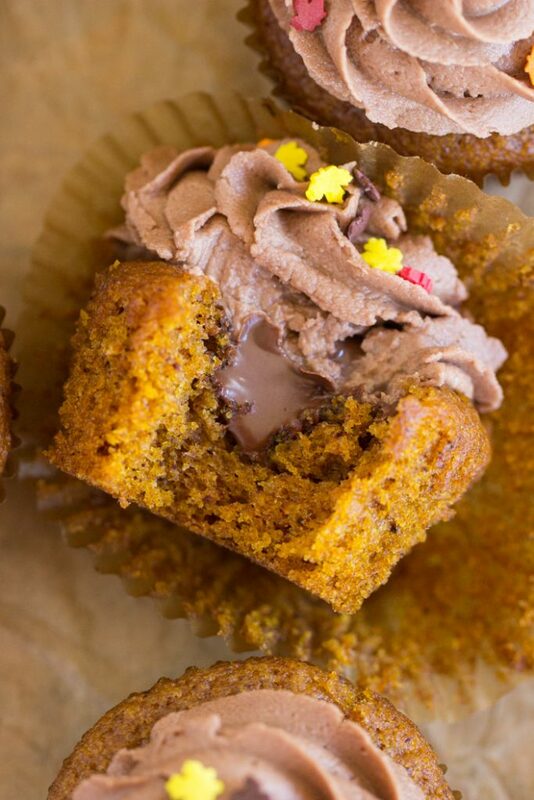 I *hope* that these Pumpkin Cupcakes with Nutella Buttercream will be more popular! They deserve it. 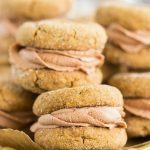 From last year, these Pumpkin Nutella Whoopie Pies are still one of my most favorite recipes of all time! Soft, thick, tender pumpkin cookies, heavy on spice, with a fluffy Nutella buttercream filling. HEAVEN. And these Snickerdoodle Pumpkin Nutella Muffins are absurdly easy, and you can have a batch in 30 minutes flat. Who doesn’t want that?? 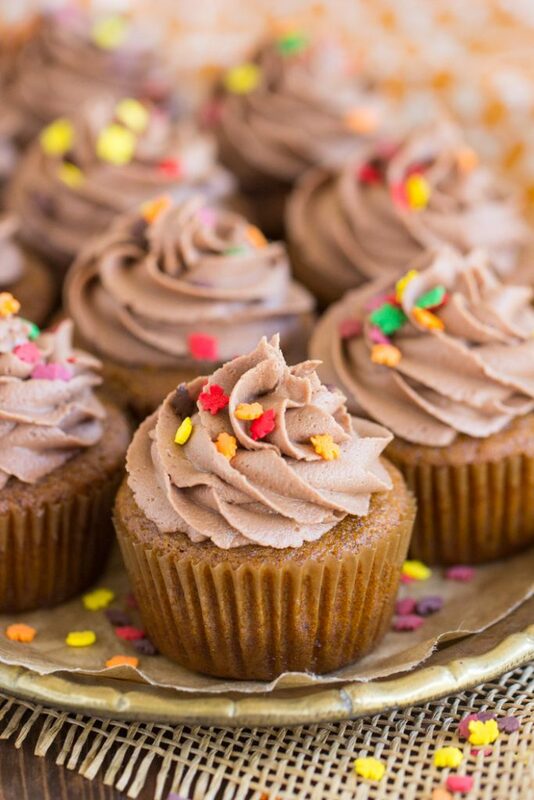 In any event, give these Pumpkin Cupcakes with Nutella Buttercream a fair shake. Otherwise, I’ll have to give up on persuading people that pumpkin and Nutella are a dynamic duo. I can’t understand why that takes any persuading at all though!!! Anyway, I don’t have a pumpkin cupcake recipe of my own that I love, so I tried a highly-rated recipe from Taste of Home (I personally have a lot of luck with TOH recipes! ), and it was a keeper. 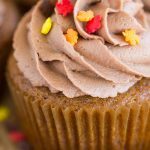 I find that a lot of pumpkin cupcakes can be very dry and dense – even Publix’s pumpkin cupcakes are dry and dense, and Publix bakery is awesome. These pumpkin cupcakes are soft, fluffy, and moist, and they’re heavily spiced, just the way I like them. How do you take your pumpkin cupcake? I do have a perfect Nutella buttercream recipe though, and I’m not afraid to bust it out whenever I have the chance. I freakin’ love that stuff, and I love it with pumpkin. If you want to step outside of a traditional cream cheese frosting for these pumpkin cupcakes, then you’ve got to try them with a big dollop of Nutella in the center, and a thick, fluffy, decadent Nutella buttercream on top! You can’t imagine how sensational it is to take a big bite out of one of these cupcakes to find Nutella in the center and a Nutella frosting on top. 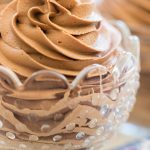 Nutella buttercream is PERFECT. 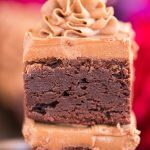 Something about the structure of Nutella – when added to a standard buttercream recipe, it whips up into the fluffiest frosting. I love it. 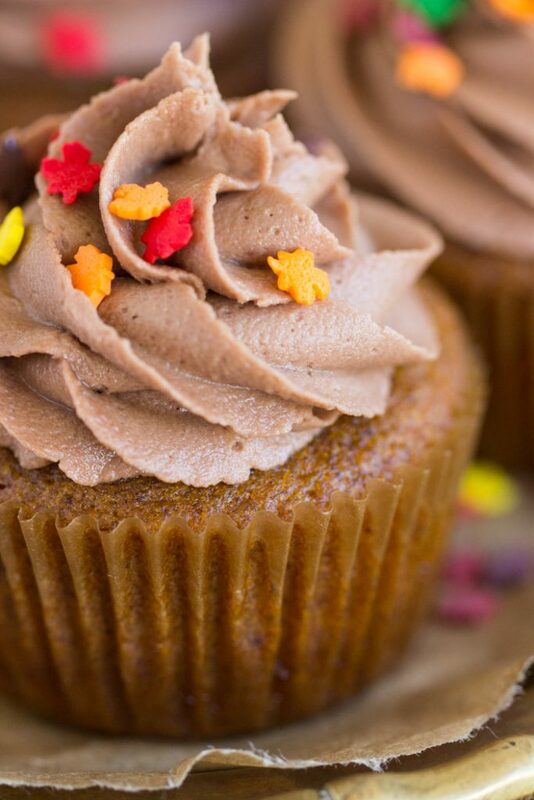 A touch of cocoa and a touch of hazelnut, what a combo, and when combined with pumpkin and lots of fall spice, you’ll go head over heels for these Pumpkin Cupcakes with Nutella Buttercream! 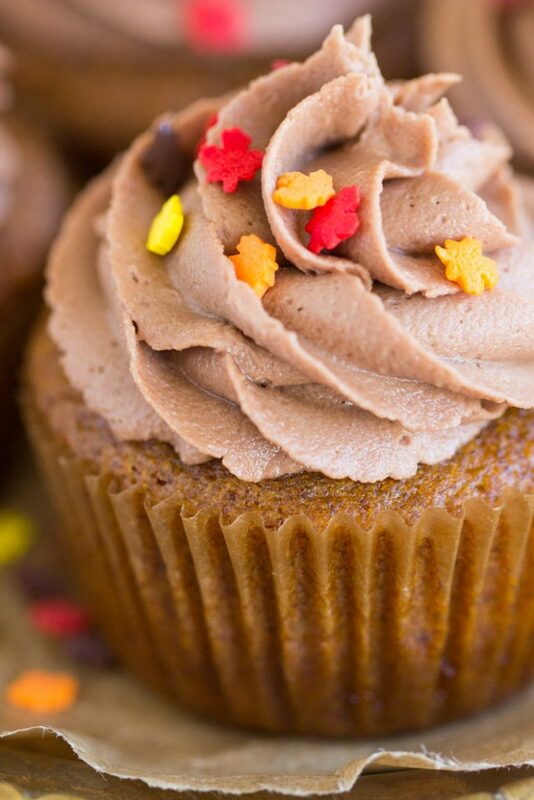 Moist pumpkin cupcakes, loaded with warm fall spices, filled with Nutella, and topped with fluffy, thick, rich Nutella frosting! 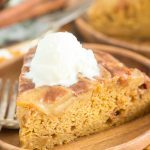 In a large bowl, combine sugar, pumpkin, eggs, and oil, whisking until blended. In another large bowl, combine flour, baking powder, baking soda, cinnamon, ginger, clove, pumpkin pie spice, and salt. Add the dry ingredients to the wet ingredients, stirring until combined. Do not overmix. Line 18 regular-sized muffin cups with paper liners, and fill them 3/4-full with batter. Bake at 350 degrees for 20-25 minutes, or until edges are golden, and a toothpick inserted near the center of a cupcake comes out clean. Remove from heat, and cool for 10 minutes before removing cupcakes from pans to wire racks to cool completely. Using a spoon or cookie scoop, scoop a 1-inch ball out of the center of each cupcake. Using 1 cup Nutella, spoon a rounded teaspoonful into the center of each cupcake. 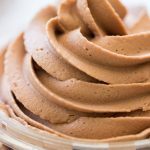 With remaining Nutella and remaining ingredients, prepare Nutella buttercream. 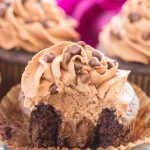 Top cupcakes with Nutella Buttercream!